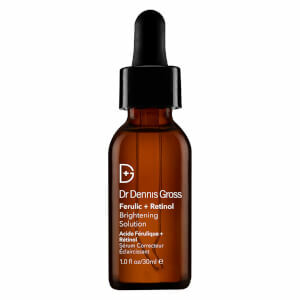 Clarify and balance your complexion with Dr Dennis Gross Skincare Clinical Grade IPL Dark Spot Correcting Serum. 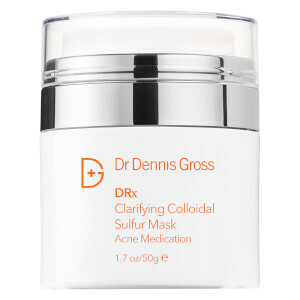 Powered by a potent blend of 10% L-Ascorbic Acid, Lactic Acid, Kojic Acid and Arbutin, the treatment sinks into skin to create a protective barrier against external aggressors. 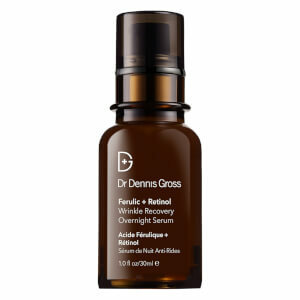 The formula works to sweep away over-pigmented surface cells, helping to minimise the appearance of dark spots and discolouration for a clear, radiant complexion. 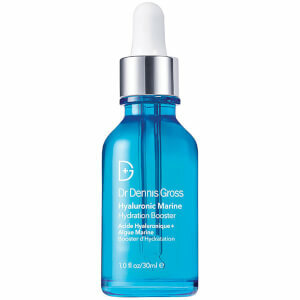 Skin is strengthened, healthy and infused with a luminous glow. For AM/PM use. 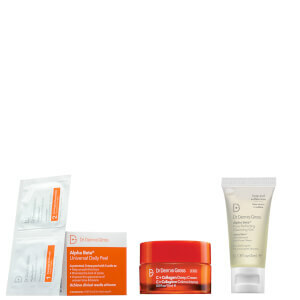 Apply as an all-over treatment on clean, dry skin. For best results, use sunscreen daily. Water/Aqua/Eau,Ethoxydiglycol, Ascorbic Acid,Lactic Acid, Glycerin, Propylene Glycol, Kojic Acid, Dimethyl Isosorbide, PVM/MA Decadiene Crosspolymer,Tocopherol,Mandelic Acid,Ferulic Acid, Arbutin, Arctostaphylos Uva Ursi Leaf Extract, Citrus Unshiu Peel Extract, Glycyrrhiza Glabra (Licorice) Root Extract,Morus Alba Bark Extract, Azelaic Acid,Glycolic Acid,Potassium Azeloyl Diglycinate, Sodium Hyaluronate, Quercetin, Phospholipids, Soy Isoﬂavones, Ergocalciferol, Panthenol, Leuconostoc/Radish Root Ferment Filtrate, Polysorbate 20, Polysorbate 80, Disodium EDTA, Potassium Hydroxide, Phenoxyethanol.